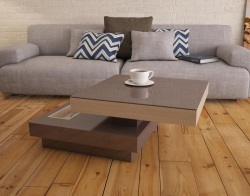 The Celia coffee table is a classic in the Akante collection. The upper plate can slide gently revealing two removable drawers underneath. 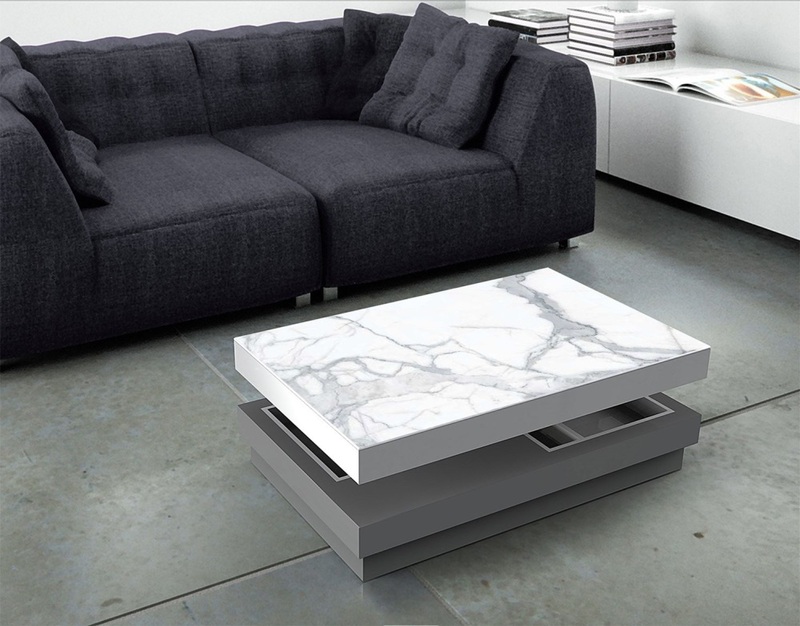 The upper plate is 3mm marbled matt ceramic, highly resistant to heat and scratches. The photo shows the base in lacquered grey.